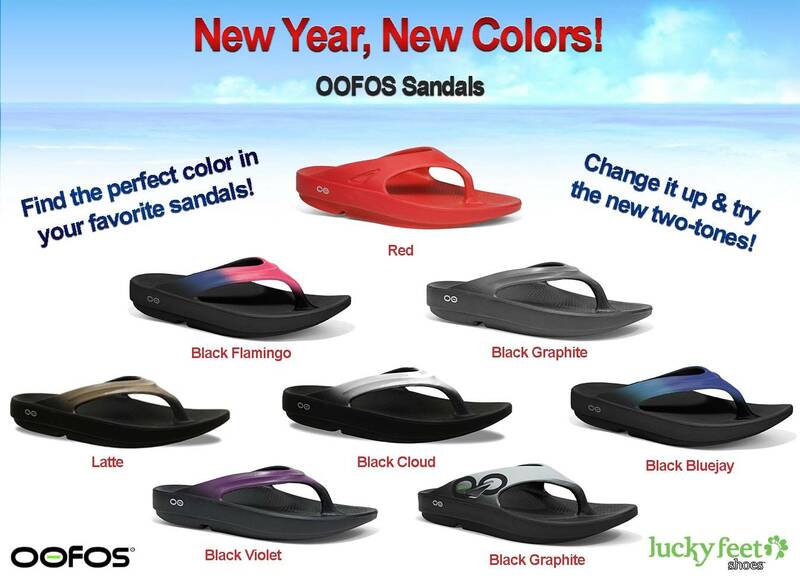 New colors of OOFOS sandals just arrived! Find your favorite sandals in this year’s hottest colors. Colors have changed but their signature construction has remained the same. OOFOS sandals are still some of the softest, most shock absorbing flip-flops you’ll try in your life. OOFOS spiced it up this season with new signature two-tones to fall in love with! With OOFOS, you have the color option to wear with every mood. If you feel a little edgy on the weekends or want to change it up, try the two-tones. This satin violet color is available in Women’s sizes 6-11 (whole size only). This beautiful spring color is waiting to compliment your unique personality. Wear them after your runs or after the gym. When you think blue, do you think royal blue? If you do, here is the perfect two-tone for you! This beautiful two-tone is a perfect color combination of the sky and sea. Wear them at the comfort of your home or for a walk at the beach. Do you believe in the phrase, “pretty in pink”? If you do, OOFOS has you covered with this vibrant pink and violet two-tone. Wear this gorgeous sandal to the park or after a powerwalk. This Black Cloud sandal is the classic black and white. This sophisticated color combination is perfect to match with most outfits. Take them out on a quick errand or for a relaxed day on your porch. It’s never too late to grab your pair of Latte OOFOS! Make these Latte sandals the first you wear when you step out bed. This warm shade of brown is subtle and can easily be paired any most outfits. Many OOFOS sandals are vibrant two-tones but if you feel they are too edgy for your style, try their solid colors. Whether you are an OOFOS believer or considering trying your first pair, try a color you normally don’t choose. Don’t be afraid to try a new color, it might be your next favorite. Come out to any of our Lucky Feet Shoes stores and try on any of these new OOFOS. OOFOS sandals are the probably the softest, most shock absorbing flip-flops you’ll try in your life. They are biomechanically designed with OOfoam to absorb about 37% more shock than other materials, you would find in other sandals. As you experience the OOfoam when walking indoors or outdoors; you’ll feel a nice bounce in every step. OOFOS thong sandals are designed as recovery footwear offering support, cushioning and impact absorption. The moment you try on a pair of OOFOS, you’ll know why they are called the original recovery sandal. You’ll experience immediate relieve and feel as if you are walking on clouds. If you suffer from Plantar Fasciitis, get a hold of a pair of OOFOS sandals and DO NOT let them go! They have amazing arch support and are great for supporting for your feet, ankles and knees. If you have never experienced “walking on clouds”, you are missing out! Come out to any of our Lucky Feet Shoes stores and try on a pair of OOFOS sandals today. Click here and a find a store near you. Come into any one of our stores, located in Anaheim Hills, Rancho Cucamonga, Riverside, San Dimas, Temecula, La Quinta and Palm Desert! 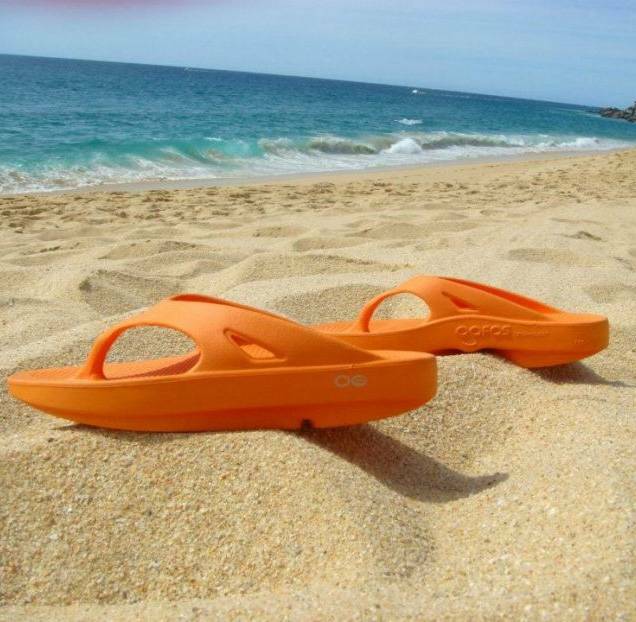 Visit us today and try on a pair of OOFOS sandals! At Lucky Feet Shoes, we carry many OOFOS sandals: sandals, sneakers, and clogs; in any of our Southern California stores. If you are looking for OOFOS footwear in Orange County, the Inland Empire, Los Angeles County, Temecula or Riverside; we have seven stores to serve you! Come and visit us today! If you are looking for OOFOS sandals in Anaheim, Anaheim Hills, Yorba Linda, Brea, Orange, Placentia, Costa Mesa, Santa Ana, Fullerton, Irvine, Villa Park or Tustin; visit our store in Anaheim Hills. If you are looking for OOFOS sandals in San Dimas, Glendora, Pomona, Covina, West Covina, La Verne, Azusa, Diamond Bar or Claremont; visit our store in San Dimas. If you are looking for OOFOS sandals in Rancho Cucamonga, Ontario, Upland, Fontana, Rialto, Chino, Chino Hills, Mira Loma, Eastvale, Colton or San Bernardino; visit our store in Rancho Cucamonga. If you are looking for OOFOS sandals in Riverside, Moreno Valley, Corona, Rubidoux, Loma Linda, Grand Terrace, Redlands or Norco; visit our store in Riverside. If you are looking for OOFOS sandals in the Temecula Valley, Murrieta, Fallbrook, Lake Elsinore, Wildomar, Hemet, San Jacinto, Pala, Sun City, Menifee, Canyon Lake, Perris, Bonsall or Anza; visit our store in Temecula. If you are looking for OOFOS sandals in Indio, Coachella, Thermal, Vista Santa Rosa, Valerie; visit our store in La Quinta. If you are looking for OOFOS sandals in Cathedral City, Thousand Palms, Palm Desert, Palm Springs, Desert Springs, Rancho Mirage or Bermuda Dunes; visit our store in Palm Desert.